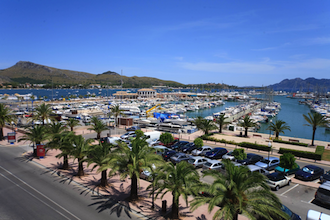 Just as a follow-up to my previous post, I'd finally like to report that in a few weeks we will be going on holiday to Port de Pollença, (better known as Puerto Pollensa) which is a pretty little resort in the north of Mallorca, which I've read and heard a lot of good things about. Believe it or not, this will be my first ever Spanish resort holiday! We've only ever gone on holiday together to Spanish cities like Barcelona and Palma. Finally, just one more thing - as you'll understand, I'm going through a pretty bad time just now so haven't really had the energy to get all those outstanding blog posts written. But they will be published eventually, please bear with me. A holiday 'Made in Spain' - but where? It's just a few weeks to go until faithful travelling companion and I head off on our annual summer holiday, but where are we going? Well, the one thing I can definitely confirm is that we are heading to Spain once again. But whereabouts? Well that's still at the discussion stage, but there should (hopefully!) be some news soon. All I know is that it won't be Magaluf, or Marbella, or Benidorm, but there's lots of other options to choose from. There have been a few setbacks thanks to the escalating costs of flights and hotels, but we'll get something. More than ever, we really need a holiday. For obvious reasons I haven't really had the time or energy to blog lately, but I'm slowly going to ease myself back in over the next few weeks so please bear with me. And much of this review is about what I haven't watched, as what I have! 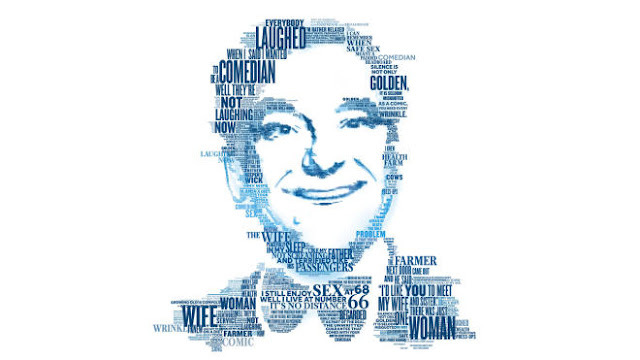 Let's start with a three-part profile of comedy legend Bob Monkhouse, which was screened in June. "BOB MONKHOUSE - THE MILLION JOKE MAN" (Gold), presented by Paul O'Grady, looked back at the life and career of the man who, particularly in the 1970s and 1980s, defined TV entertainment. What I didn't know was that Bob kept an enormous archive of joke books and other material from his career. It would perhaps have been better if the show had focused on the lesser known aspects of his life, rather than taking the more conventional route. "EMPIRE" (E4) has been one of my favourite new dramas of this year, and whilst the larger-than-life first series has ended (sad face) the good news is that season 2 is coming to E4 this autumn, so we won't have too long to wait to see what happens to Cookie, Lucious and their family's battle for Empire Entertainment. Taraji P Henson's portrayal of Cookie Lyon has made her one of TV's most iconic characters of the past few years. 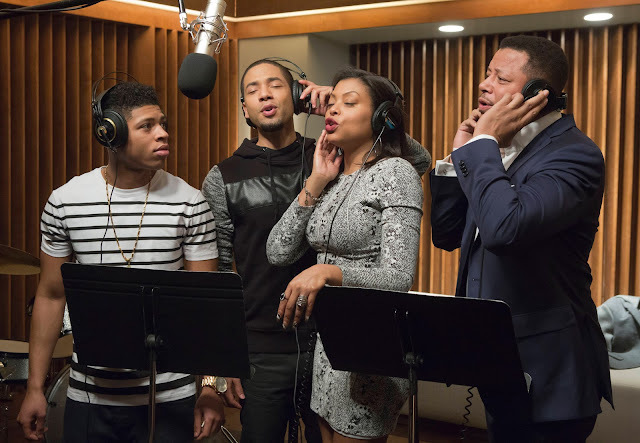 By the way if you've enjoyed the songs from the show - masterminded by long-time fave of this blog, Timbaland, the soundtrack is available for download. And there is a little Eurovision link to this show too - Jim Beanz, co-writer of Dima Bilan's 2008 ESC winner "Believe" wrote and produced most of the music for "Empire" and also starred in the show too. Bring on season 2! I needed something to keep me going on a Saturday night to get through PED. There was a longer wait than usual for the latest series of "THE NATIONAL LOTTERY: WHO DARES WINS" (BBC1) but it finally arrived on our screens. It's certainly not rocket science, but it does just fine for a Saturday night. I wish it was on all year round, but that's just me being greedy. So another series is over and it's been replaced by "FIVE STAR FAMILY REUNION". I tuned into the first episode to check it out. Like "Who Dares Wins" it's presented by Nick Knowles - my dear mum really liked him, by the way! - but there the similarity ends. I wasn't impressed with the first episode so won't be watching it again. You wouldn't expect good television during the summer months, but the last couple of months have brought a surprisingly rather good period of telly. So I suppose it's just as well that the weather has been so cold and awful. And you won't be surprised to learn that I've amassed a huge backlog of TV over the past few months - I still haven't seen series 1 of The Legacy, never mind season 2; whilst the whole series of 1864 remains to be watched. I also started watching the mystical, weird and wonderful "JORDSKOTT" (ITV Encore) but had put this on hold so need to catch up. There's yet another new subtitled drama from France - "WITNESSES" (Channel 4) which I've added to my 'to-watch' list. However, I am in the process of watching something subtitled and reasonably current though (it finished last week). You often wonder if there are any more stories to be told about World War II, but of course there are, and those stories are always told very well by European TV drama. We've seen the Polish "Days of Honour" (Series 3 is now underway on STV Glasgow), and Germany's "Generation War" and now we can add another one to the list. 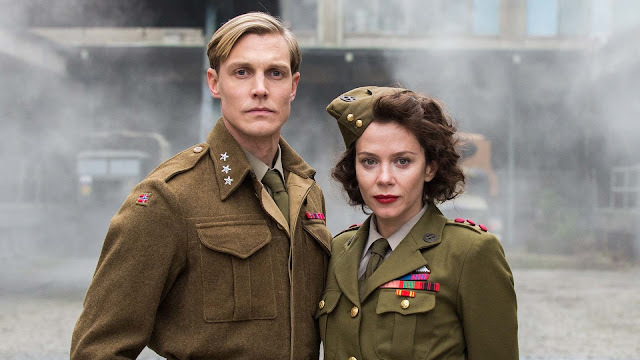 "THE SABOTEURS" (More 4), is an NRK international co-production which tells the story of the Germans' attempt to use Norwegian heavy water to build an atomic bomb, and the Allies' attempt to stop it. It maybe doesn't sound too interesting, but the first few episodes have did just enough to hold my interest and I'll keep watching, even if the British officers are hilariously stereotypical and 'tally-ho' to take seriously; at one point Anna Friel even said "good luck chaps!" which just reminded me of the British airmen in 'Allo Allo". 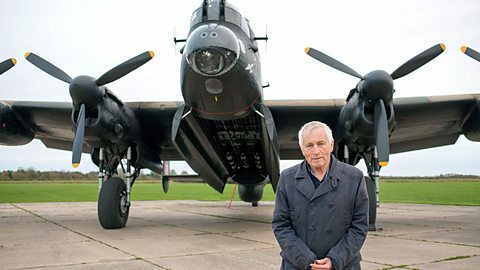 Talking of wartime, in "THE BBC AT WAR" (BBC2), Jonathan Dimbleby took a very personal look at the BBC's role in broadcasting the events of World War 2; because it was none other than his father Richard Dimbleby, who was involved in reporting the war as it happened. "HUMANS" (Channel 4) has been one of the biggest shows of this year, and series 1 ends tomorrow night. I'm no sci-fi fan by any means, and I've given up on ever watching anything substantial and/or decent on Channel 4, but this has really surprised me. It's tense, creepy, and unmissable, and the stunning Anita/Mia (above) is its defining image. Maybe because it's not actually a British idea, but was based on an SVT show called "Real Humans", perhaps? And the good news is that there is going to be a second series - so there's more life in the 'synths' yet. Let's just hope it doesn't go all Broadchurch series 2 on us, eh? Ah, taking of Sweden...Sky Arts recently repeated the excellent and informative documentary about Abba, "WHEN FOUR BECAME ONE" which featured lots of very interesting archive material about the band's members before they came together as the global phenomenon. The programme also featured interviews with Svenne Hedlund and Marie Ledin. 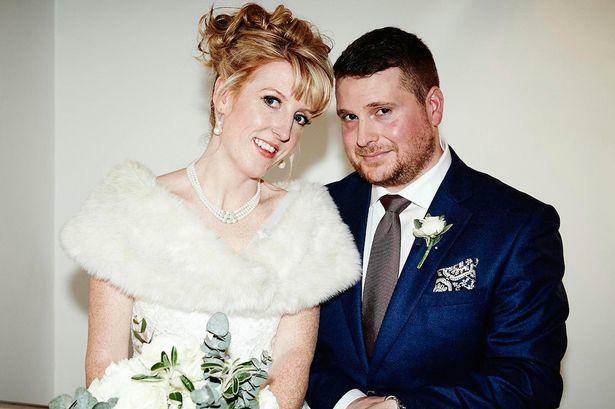 Another TV show which originated in Scandinavia is Channel 4's latest barrel-scraper, "MARRIED AT FIRST SIGHT". Why fall in love and go down the usual route when the TV people could put total strangers together in the name of 'scientific experiment'? I'm actually thinking more of that section of "The Word" where people would "do anything to get on TV". Yet just when I was writing off the protagonists as middle-class TV wannabes with nothing to lose, a strange thing happened. For I briefly started to care about the two couples and whether they could defy the odds. As it turned out, Emma and James (above) fared better than Jason and Kate. "DANCING THROUGH THE BLITZ - BLACKPOOL'S BIG BAND STORY" (BBC2) was a fascinating documentary about the big band and dancing boom before, during and after World War II. However, it was a bit of a misnomer, as it wasn't really about Blackpool as such, although it did figure. I guess that's just a minor gripe from me about an otherwise good show. I didn't know that after several operations on her vocal cords, "Maria" winner Connie Fisher would never be able to sing again. "I'LL SING ONCE MORE" (BBC4) followed Connie on her journey to recover her singing voice. Enter vocal coaching magician Gary Catona from the USA, who helped Connie to find her voice again. Of course there was a happy ending! 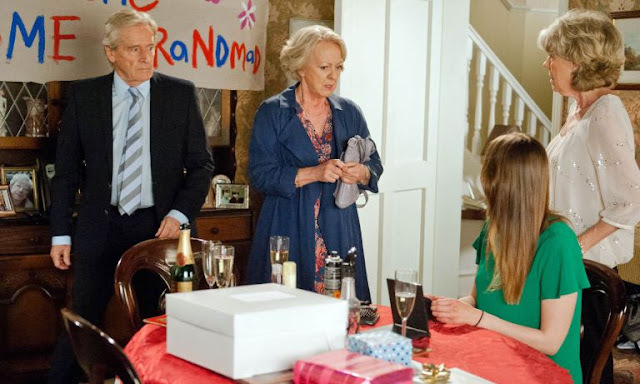 It's a show with an offputting and trashy title, but "OAP INTERNET VIRGINS" (Sky One) has a surprisingly warm heart. Basically it's about young internet stars from the world of video blogging or vlogging as it's better known, being teamed up with elderly people to teach them the joys of the internet. 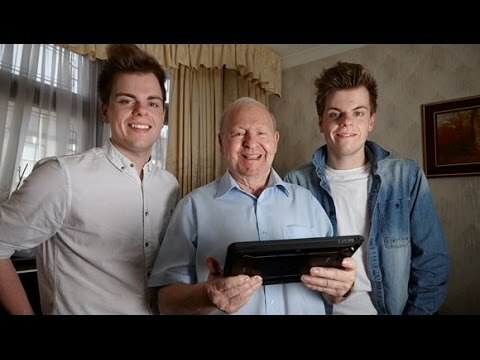 Now I know I'm feeling emotional at the moment, but the first episode, which matched twin vloggers Niki & Sammy with 84 year old George, had me in floods of tears as I was just overwhelmed by George's wonderment at this new world which opened for him, and his endless devotion to his wife, who subsequently passed away. You know the story. You have your own memories of certain decades, and they don't always match up to the conventional media view. Remember the "I Love The 70s" and "I Love The 80s" series - which I liked, by the way, even if they didn't always match my own experiences. There were the obvious targets in "THE 90s: THE DECADE THAT SHOOK THE WORLD" (Channel 4) but it did focus Britpop. Which I liked a lot. And even if 'Britpop' turned out to be a media circus, I will not hear a word said against that time, because (for me anyway) it was a good one. So it might not have been to everyone's taste, but I enjoyed rolling back the years on what was originally a one-off revival of "TFI FRIDAY" (Channel 4). Back in the 90s, that programme defined the Britpop/Cool Britannia era of course, and certainly one of the defining moments of Chris Evans' TV career. Yes, this revival was over-indulgent, packed with unnecessary 'celebrities' and it may be a relic from a TV past which doesn't exist any more. But it turned out that it's not going to be a one-off after all, and Evans is set to bring back the revived show; and just one request from me: please, please, please don't let Nick Grimshaw anywhere near it! By the way, I thought I'd take the opportunity to mention one of our little "TFI Friday" memories here. Remember the "It's Your Letters" song? (https://www.youtube.com/watch?v=46OoOtOnEuo) Well, my mum always used to sing "It's Your Lettuce" whenever she was serving up salad at dinner time, and I'm sure if she'd been around to see this revival she would have belted out that song with glee! Sadly of course, I won't have any more of those little funny moments which we shared watching TV together, and there have been many, many times over the past 4 weeks when I've been watching TV and have broken down at the most minor and unimportant detail, because I won't be able to share them with my mum any more. But, surprisingly, TV has been a comfort and a distraction during my darkest weeks, so it does serve a meaningful purpose after all.